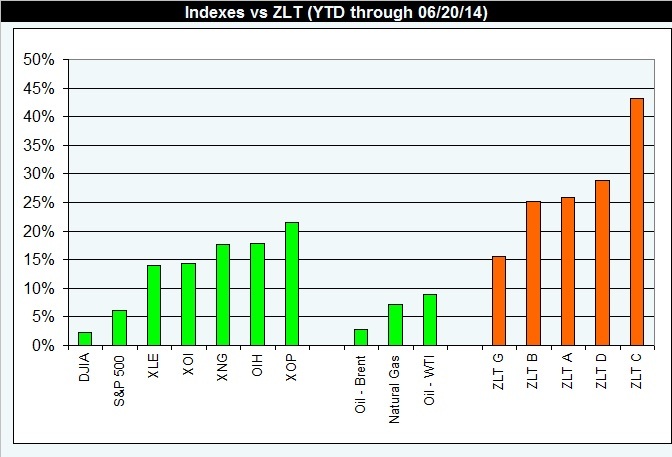 Hot Money has definitely entered the energy groups. Hot Money doesn't care about EBITDA multiples or commodity hedge portfolios. Hot Money cares about tickers and charts. When the charts take a pause, Hot Money finds a new group to love (I dunno, maybe gold or some shiny new tech bauble). Anyway, expect to see more balancing trades from us soon as this kind of week after week rah-rah performance is not sustainable. See our IPO piece on MRD here - the name is initially moving as expected, just more rapidly with support from the group and rising peer valuations. We established a starter Core here on opening day. See the VNOM piece here (turned out to be hotter than even we thought). Expect to see more of our names bring secondaries after this rally and expect to see more on the deal rumor front (if not actual deals) in E&P land. Want to subscribe or know someone that should be a subscriber? It's easy and more cost effective than a Starbucks addiction. Drop us a note at zman@zmansenergybrain.com or simply register at upper right on this page and pick one of the easy options off the Membership Options page. Questions under The Wrap will be addressed in the Subscriber Mailbag section of the Monday post. (Please click on the table below to bring it up in it's own window if it bleeds off the right hand side of your screen or use the Print Friendly button at the top of the post to generation a PDF). This entry was posted on Saturday, June 21st, 2014 at 4:31 am	and is filed under Uncategorized. You can follow any responses to this entry through the RSS 2.0 feed. You can leave a response, or trackback from your own site. The refiner space is also catching fire. The largest gains in the above table from this past week are the Brent/WTI spread (36%) and the 3-2-1 crack (12%). PSX, TSO, and CVI each broke out to near term highs, with the others close behind. The third largest gainer last week was TAN, the solar stock etf (7%). Domestic solar names (SCTY +31.55%, SPWR +12.86%, FSLR +6.87% this week) are benefiting from the tariff imposed on Chinese solar imports, the EPA clampdown on pollution, and improved economics due to relentless competition-induced cost reductions and slowly improving panel efficiency. SCTY's acquisition of an innovative domestic panel maker and new plans to build the world's largest solar panel plant in NY helped to juice the space this week. Shell filed for an IPO of some of their midstream assets. This could start a movement among the 'big oil' names to refocus assets on higher return investments by dropping down midstream assets into MLPs and re-investing the capital into producing assets. This supports Z's point above about the potential for increased domestic M&A activity in the E&P space. The mega-cap names could certainly benefit from stronger production growth and this MLP strategy to re-deploy assets could provide them with the capital to invest in it. One concern that may be holding back the majors from acquiring domestic shale assets is the export ban on crude oil. Capacity limits for refining domestic light crude could eventually slow production in the next three years unless the ban is lifted. On the other hand, LNG export approvals have been moving forward so domestic natgas assets could become more attractive to the majors, especially with the global disparities in natgas prices and the bountiful arbitrage opportunity that could offer domestic natgas producers over the next 3-5 years. What is your opinion of EQT ? Barron's – positive article about APA. Stock has underperformed over last 5 years. Mostly because a big chunk of their assets were in Egypt ( has sold 1/3 for $3B ). Improving their balance sheet, buying back shares. Putting a fair amount into the Permian (trend that should continue). Restructuring story.